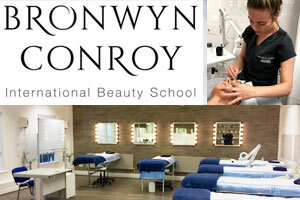 The Bronwyn Conroy Beauty School offers high quality training in the areas of beauty therapy & related fields. The school offers Beauty Courses, Make-up Courses and exclusive Continuous Professional Development Courses for Beauty Therapists in Dublin and throughout Ireland. The courses are tailored to suit everyone with different times available to suit busy lifestyles. Some of the beauty courses offered by Bronwyn Conroy are listed below..